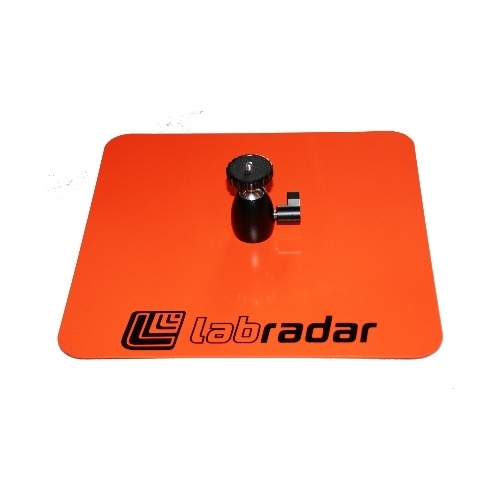 This heavy gauge metal plate features a universal ball mount with a removable plate that allows it to stay on your Labradar for quick attachment to the base plate. 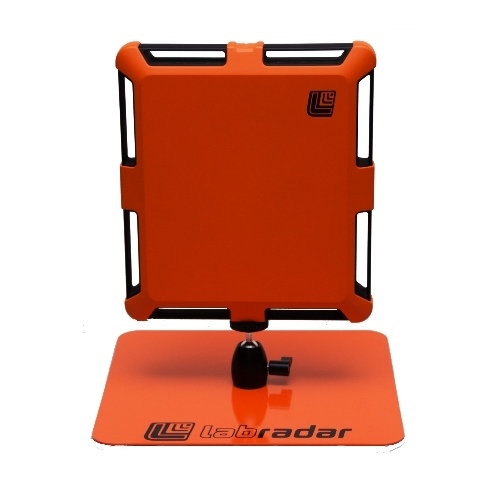 The Bench Mount allows for virtually any alignment of Labradar. It is espcecially useful when shooting from a prone postion or from a bench top when space is not available for a full size tripod or cannot be positioned close enough to the weapon muzzle. The plate measures 12 x 12 inches and is orange in color with rubber feet.